Comes complete with exhaust collector ring and electronic ignition - Please note that the ignition of this motor is a separate box and is not integrated on the back of the motor. Therefore it will need some space in the fuselage. 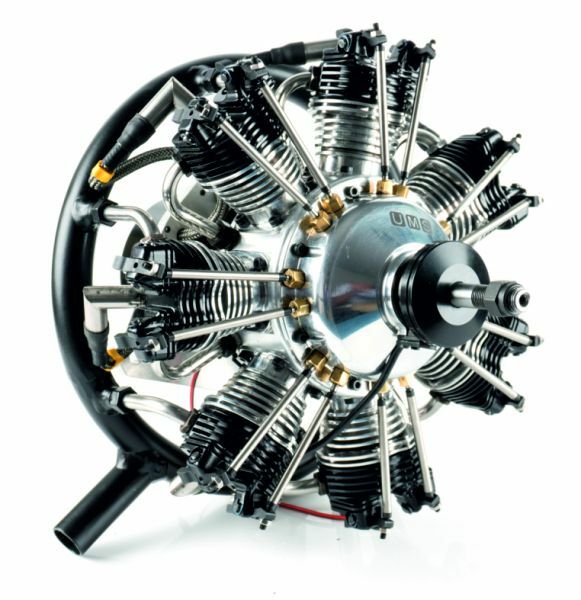 Related links to "UMS radial-engine, 7 cylinder 50ccm, gas"